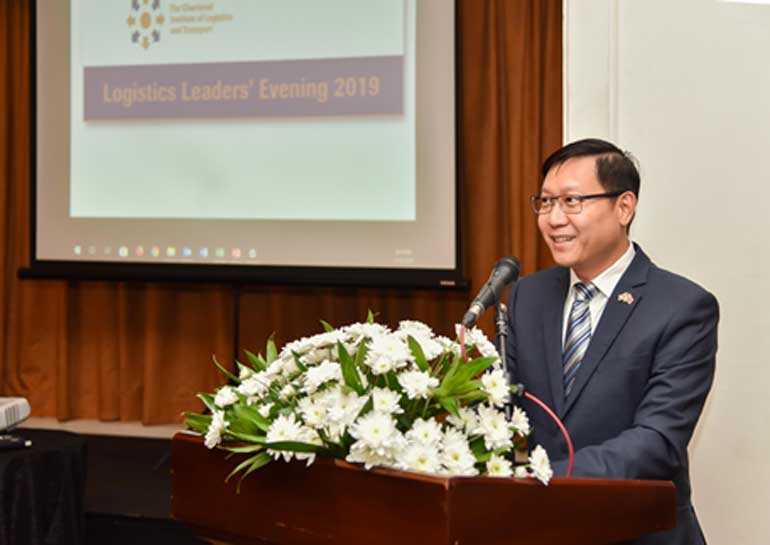 The Chartered Institute of Logistics & Transport (CILT) Sri Lanka held its first Logistic Leaders’ Evening for 2019 on 10 January at The Kingsbury. 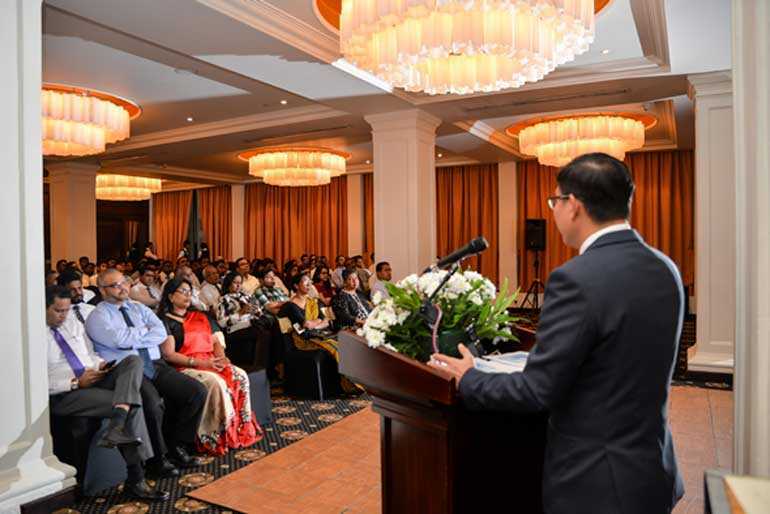 The eminent speaker for the evening was CHEC Port City Colombo Ltd. (CPCC) Assistant General Manager Tham Kok Kuan Simon, who spoke on the topic ‘Port City Colombo – The Art and Science of Transport and Logistics to Build a New City’. Over 180 participants attended the event from a wide spectrum of the industry. 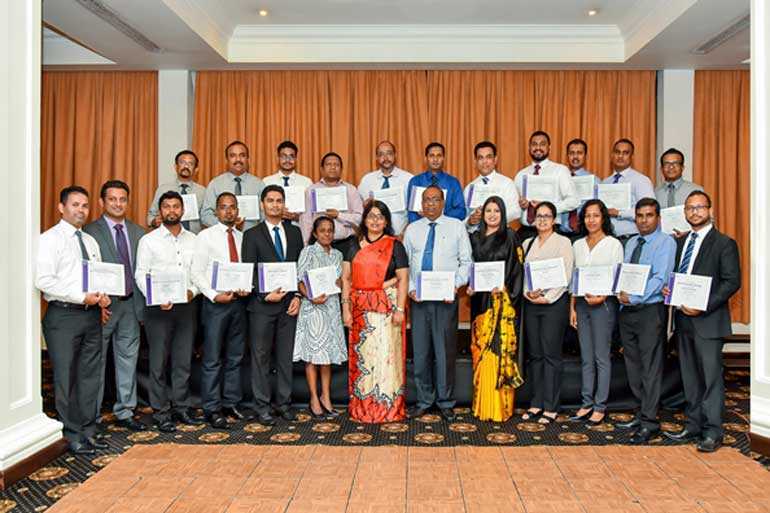 CILT Sri Lanka combined this event with the induction of new Corporate Partners for 2019 and individual members. Simon said during his keynote speech that the 269 hectares of reclaimed land from the sea, Port City Colombo, would be South Asia’s premiere residential, retail and business destination, offering unmatched planned city living along the waters of the Indian Ocean. The development will comprise five different precincts including the Financial District, Central Park Living, Island Living, The Marina and the International Island. When completed, Port City Colombo will have over 5.6 million square meters of built space, boasting the best in design and standards. Its lifestyle and business offerings will include world-class facilities and spaces in healthcare, education, entertainment, hotels and restaurants, retail and office with an integrated resort and a marina, offering the best in living by the sea. He also said that the city would adopt a reverse traffic pyramid where more space for walking and cycling would be created as opposed to vehicles. Built on the latest sustainable city designs and smart city concepts, Port City Colombo will be the most liveable city in South Asia. CPCC will be investing over $ 1.4 billion, thereby making this the largest-ever FDI project to be implemented in Sri Lanka so far. He further said that the land reclamation is to be completed by end of 2019 and the first building will be ready by 2023. He finally said that the Port City is the aspiration of the next generation. 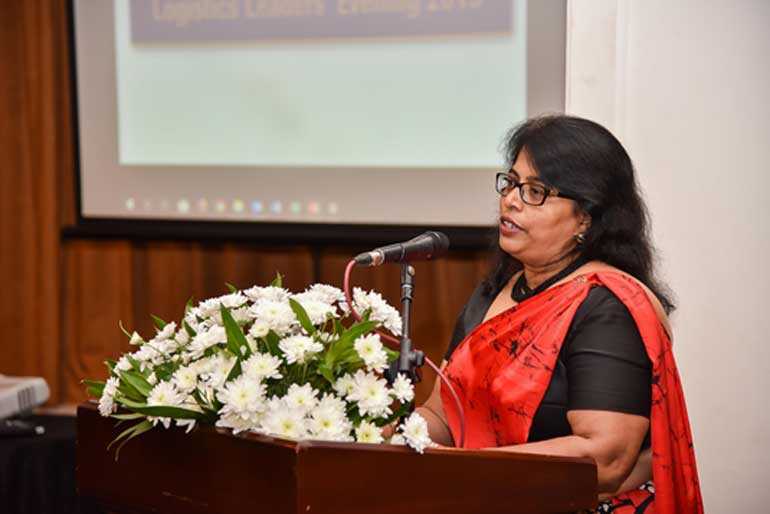 CILT Chairperson, Gayani de Alwis CMILT in her address welcomed the large gathering present for the first event for the year. She highlighted CILT’s global presence and that CILT would celebrate its centenary year in Manchester on 16-18 June. She also stressed on CILT’s role in both passenger and goods in all modes of transport and urged all professionals to engage with CILT to support the development of the industry. She mentioned that the Corporate Partnership (CP) program which was launched in 2011 with 15 partners had now grown to 22 and three more CPs were in the pipeline; 13 partners have been with CILT since the inception and they have been recognised as Patron Partners. She thanked all the partners for having confidence in CILT and pledged to add value to them by working together to achieve a mutually-beneficial partnership. Speaking on member benefits, the Chairperson mentioned that CILT international education qualification and post nominal are globally recognised, Continuing Professional Development (CPD) programs, networking opportunities expose the members to new developments in the industry to benchmark and upgrade knowledge, involvement with research and consultancy, mentoring, scholarships, job and internship opportunities, etc., other benefits that they will enjoy by being part of the CILT family. She invited all members to come forward and lend their expertise to CILT to take the industry forward. The CPs were inducted under four categories as Hayleys Advantis and DIMO as Platinum, Finlay Cold Stores Ltd. as Gold, Ceyline Holdings, Mclarens Group and South Asia Gateway Terminals as Silver and Abans, Aitken Spence Maritime Ltd., Chrisslogix Ltd., Civil Aviation Authority, Daily FT, General Sir John Kotelawala Defence University, Inter Air & Sea Logistics Ltd., Lanka Shipping & Logistics, Pickme, Sri Lanka Institute of Information Technology, Trelleborg Lanka Ltd., John Keells Logistics, National Transport Commission and Oviklo International Ltd. as Bronze Partners. 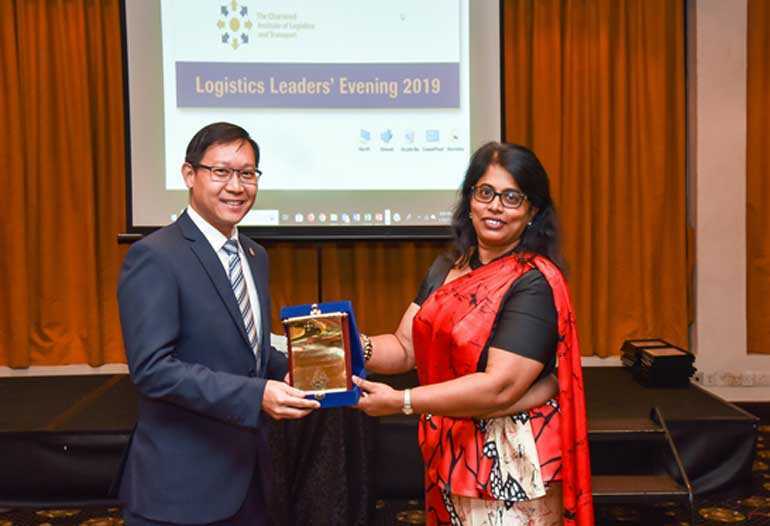 Another key highlight of the logistics leaders evening was the membership induction where 49 new members and upgraded members were awarded with the membership certificates. 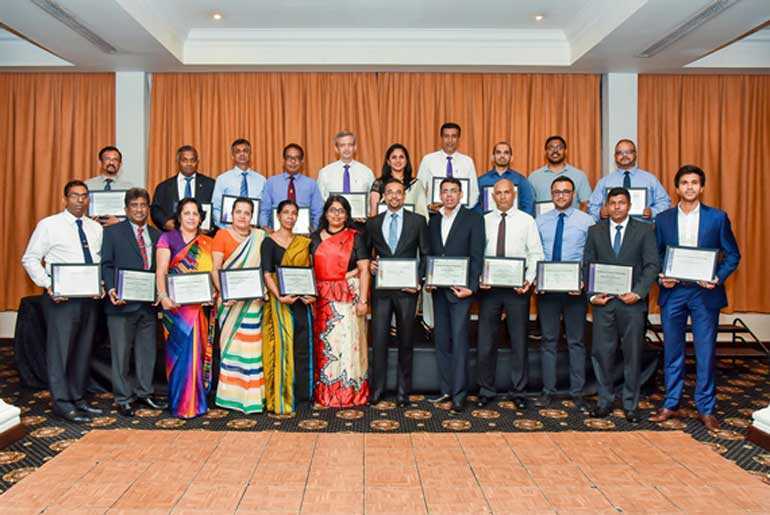 Two Fellow members (FCILT), Upali Gunawardene (Chairman of Upali Transworks) and Romesh David (CEO of SAGT), 25 Chartered members (CMILT) and 22 members (MILT) were inducted at the event. This will be a regular practice for all new members and upgrades. The Chartered Institute of Logistics and Transport (CILT) is a leading global professional body associated with the logistics and transport industry. The institute holds unparalleled international recognition and works towards achieving its objectives of promoting and encouraging the art and science of logistics and transport through its membership and its educational qualifications. With a global membership of over 34,000 from 35 countries across the globe, CILT provides a professional identity to those in the ever expanding logistics and transport sector. It is a strong, active and a unified professional association that is able to speak with authority on strategic issues affecting businesses and people in the industry and support their careers.